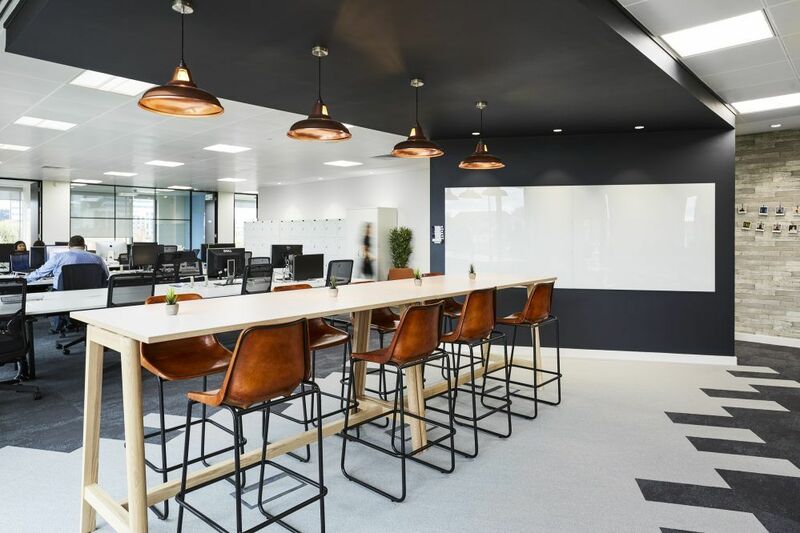 Our Supersized Copper Coolicon Pendants were chosen by AIS Workplace for their recent project with data consultancy firm, Zaizi. 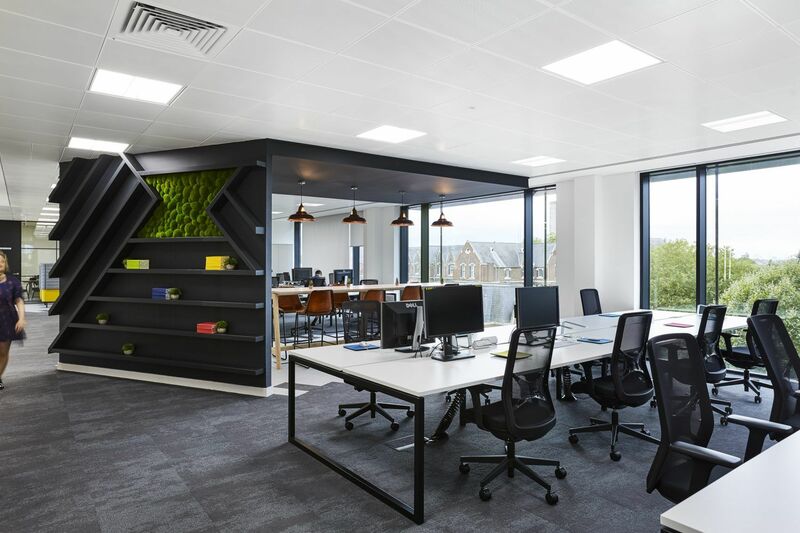 The new open plan office comprises of both formal and informal meeting spaces to create a collaborative workspace with a modern, industrial look. 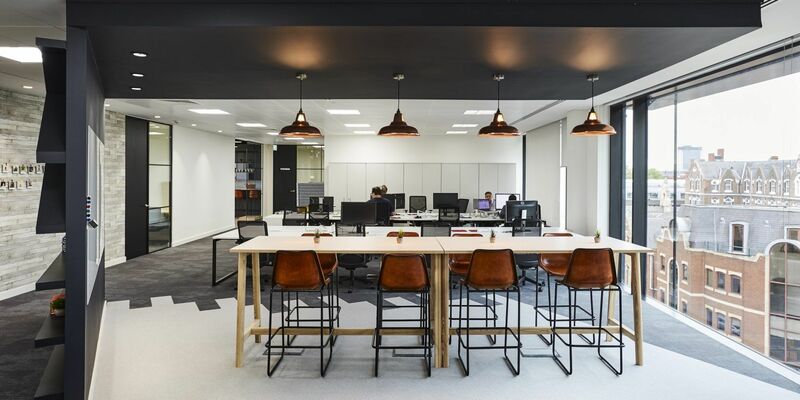 Located in the middle of the hot desk area is a ‘think tank space’, where our Copper Pendants are used over a high, bench-style desk. The large shades add style to the corporate space while providing focused task lighting over the work surface. Our Coolicon inspired shades are perfect for this contemporary office space as they add character to the otherwise sleek and minimal space. The copper finish brings warmth to the bright interior while the vintage design of the shades reflects the industrial style kitchen, adjacent to the desk area.